FOR Josh Thomas it's all about "repaying the faith". In particular to one man - his coach Nathan Buckley. Slapped with a two-year drugs ban, Thomas knows his AFL career could so easily have gone "either way". Along with fellow Queenslander and Collingwood teammate Lachlan Keeffe, Thomas tested positive to a banned substance in February 2015. 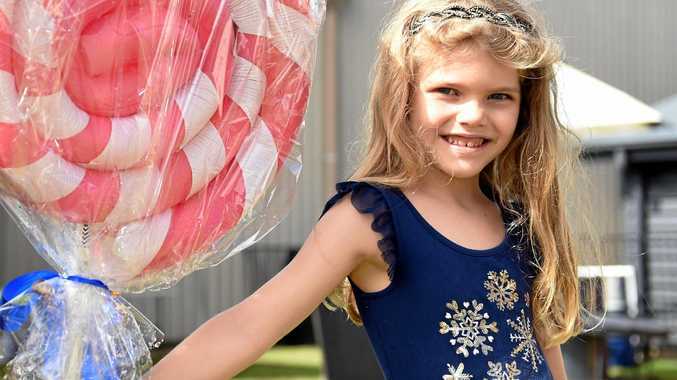 They believed the illicit drugs they took during a night out at the St Kilda Festival had been laced with performance-enhancing clenbuterol. It turned their worlds upside down. Six months later the pair accepted their fate from the league - the then maximum two-year suspension. "There's no doubt for a period of a few months there, I thought that was it for my career," Thomas said. "I was planning for life after footy." 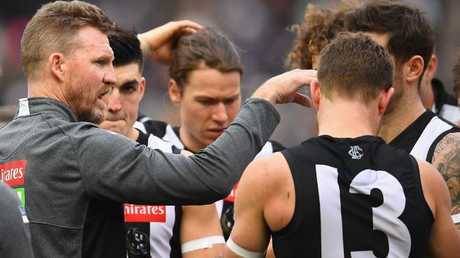 But, initially, Thomas hadn't counted on the steadfast support of Buckley, who had arrived back at Collingwood as an assistant coach to Mick Malthouse at the same time Thomas was drafted from Redland in 2009. "I think we've got a really healthy relationship," Thomas said. "He's been at the club pretty much the whole time I have. "I had a coffee with him when everything happened. We had a very honest chat. That was a really important moment, to see me and hear my side of things - the human side of it, I guess. "He's so pragmatic. I wanted to do everything I could to earn that respect back." Buckley and the Magpies committed to re-drafting Thomas and Keeffe as rookies for the 2017 season. With solid form in the VFL, Thomas was promoted back on the senior list towards the end of last year and eventually played nine AFL games for the season. It had been 1038 days between his 32nd senior game for the Magpies and his 33rd. "I guess I've always felt like Bucks has had my back. He believed in me," Thomas said. Coach Nathan Buckley's faith in Thomas is reaping rewards for the club. "Of course, we had to hold up our end of the bargain. All I've been trying to do since then is keep my head down, keep a really low profile and do everything I can to repay the faith." He is doing just that, in spades. 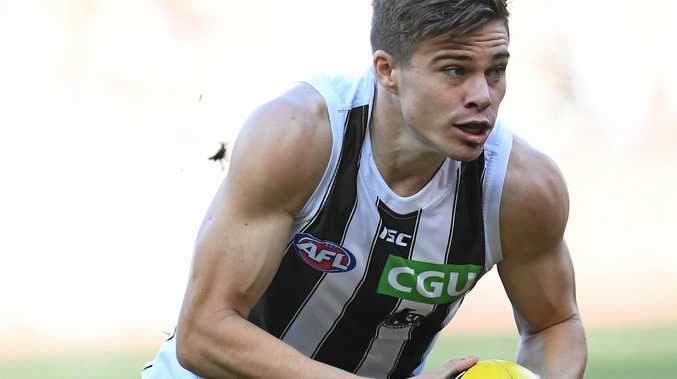 While Keeffe was traded to the GWS Giants at the end of last year, Thomas has become a fixture in the Collingwood line-up. "I think before the ban - I was 22 when I played my last game," the 26-year-old said. "I felt I was just starting to find my feet ... got to about 30 games. "Obviously that (suspension) derailed things. "Last year was a massive transition year ... I probably underestimated how difficult it would be to get back, but to get the nine games at the back end was really important, to get that taste of AFL again. "I'm a little bit older now too, which helps as well. Even though I missed a lot of footy, I'm finding it a little bit easier in a sense that I'm a little bit more mature." Transformed into a dangerous forward, he's played all 13 games this season and kicked 20 goals, including five in round three against Carlton and two bags of three. 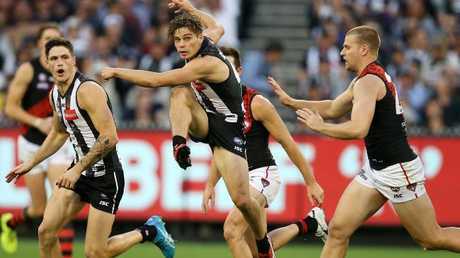 He's part of an eclectic group of forwards, including American Mason Cox, Rising Star favourite Jaidyn Stephenson and the set-to-be re-signed Jordan de Goey, who have helped Collingwood become a flag contender with a 9-4 win-loss record. "We've had to put out a mix that maybe wasn't expected from day one pre-season. I think it's really worked," Thomas said. "We've got some good leg speed." Thomas initially went "off the radar" following his ban, retreating home to Brisbane. There he drove a Uber and continued his university studies - a Bachelor of Business, majoring in finance. That's still the path for him after footy, but it's certainly on hold as he makes the most of his second coming as an AFL footballer. And it hasn't just been "Bucks" who has been glad to see him back in the black and white and finally fulfilling his potential. "Since I've been back the fans have been amazing. They've just welcomed me back in," Thomas said ahead of today's visit to Queensland to play the Gold Coast Suns tonight. "It means a lot. It could obviously go either way with that sort of stuff, but I'm just stoked they're happy to see me back. "It's been awesome, and I'm forever grateful to Collingwood and Bucks for giving me a second chance."